What Type of Microorganism Is Used to Make Cheese? What Good Bacteria Is in Cheese? A close-up of gorgonzola blue cheese. 1 What Type of Microorganism Is Used to Make Cheese? 2 What Is Animal Rennet? While you may associate bacteria with illness, in some cases bacteria provide benefits, especially in cheese production. Not all cheeses use bacteria in the cheese-making process. Familiar types such as cheddar and mozzarella rely on certain types of bacteria to give them their particular taste and texture. Because cheese contains milk, it is a good source of calcium. A 1-ounce serving of cheddar contains 204 milligrams of calcium, just over 20 percent of the adult RDA for this nutrient. Good bacteria provides a means of producing this healthy food. Bacteria are a group of one-celled organisms that are microscopic in size. Some are harmless to humans, and some carry disease. The latter are called pathogenic bacteria. Some types of bacteria are beneficial to people, including the type used in the production of cheese. It is the kind of bacteria used that gives each type of cheese its unique taste. Cheese-making is believed to have begun over 6,000 years ago. The Egyptians made cheese, as recorded in tomb murals. Whether it was an accidental discovery or intentional is not known. 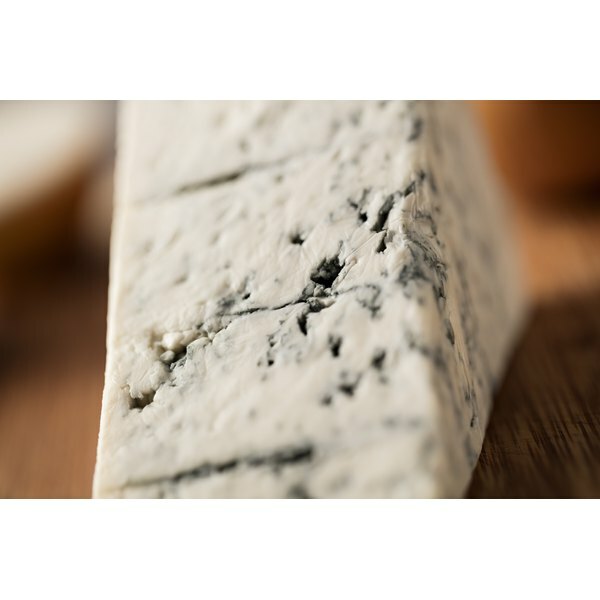 Some of the earliest known cheeses include gorgonzola, roquefort and cheddar. Different types evolved all over Europe, with the cheeses reflecting local cultural preferences as well as terrain differences as they influenced milk production in cows and goats. Varying soil types affect the grazing vegetation that can, in turn, influence the flavor of cheeses. To make cheese, you start with milk. Cheese-making uses lactic acid bacteria from the lactose in milk. These bacteria are cultured, meaning they are produced under artificial conditions. Some of the starter bacteria used to make cheese comes from the genus Lactobacillus, such as Lactococcus lactis subsp. lactis or Lactobacillus helveticus. Yeasts and molds are also used in cheese production for types such as brie and blue cheese. 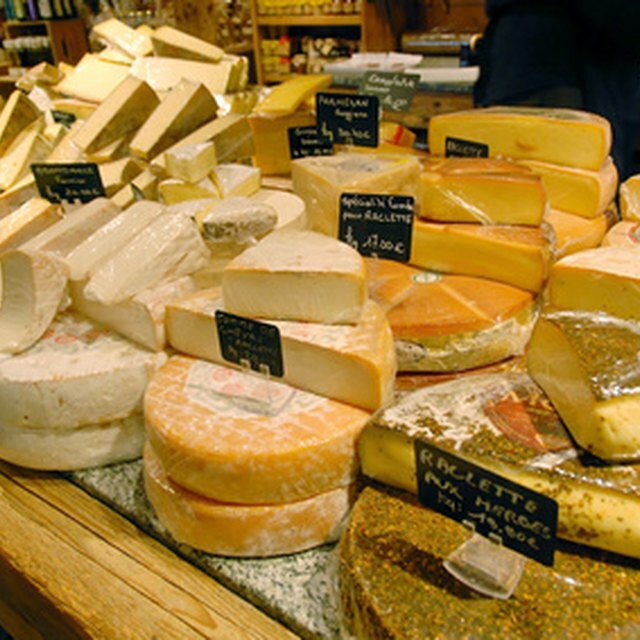 This explains why these cheeses may have different tastes from cheese made from bacteria. The type of bacteria is only the beginning of the cheese production process. After the bacteria is cultured, it is allowed to ripen and develop with the addition of rennet in milk. Rennet is a type of enzyme that is produced in a mammal's stomach that causes the curd, or solid portion of the cheese, to form. The liquid portion is whey. After heating, the two are separated. The cheese is processed further to remove any remaining liquid. Some cheeses may be placed in a salt solution to enhance their taste. Others such as cheddar and gouda may be aged to intensify flavor and increase its complexity. Does a Sliced American Cheese Product Have to Be Refrigerated? Do You Thaw Frozen Cheese Before Grating It? What Kind of Cheese Is a Low Melting Cheese? Which Cheeses Contain Animal Rennet?